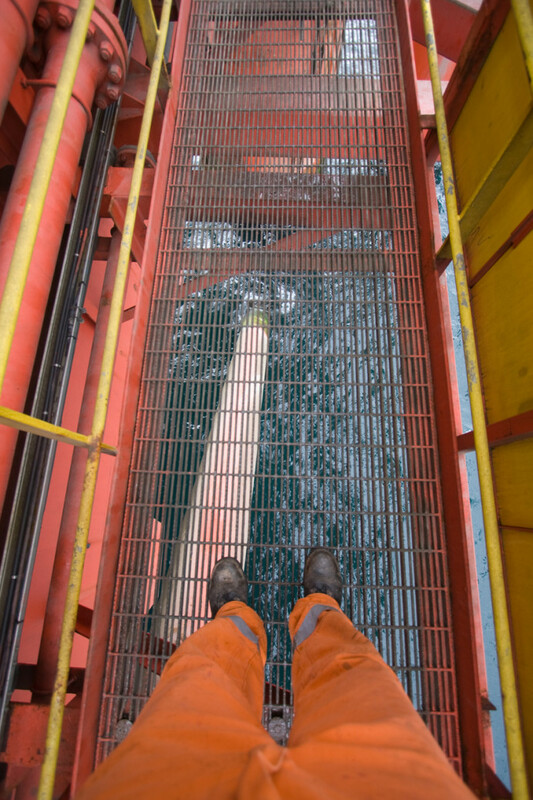 Despite a radical overhaul to regulations and numerous campaigns to raise awareness about the issue, working at height still remains the most common cause of workplace fatalities in the UK. Dozens of people are killed each year, with thousands more seriously injured across a wide variety of sectors and jobs, costing industry tens of millions of pounds in lost productivity, increased sickness pay, and expensive compensation cases. Ruth Ross, Managing Director of leading UK-based health and safety consultancy Building Trust in Safety Ltd, outlines some of the many dangers of working at height, describes the regulatory framework introduced to try and reduce these risks, and highlights several examples of good practice that, if followed, could help to bring the number of workers affected by falls from height tumbling down. Falls from height are still the most frequent cause of death in workplace fatalities across the UK, with more than 420 people killed in the decade from 2001, an average of close to 50 deaths per year. But it’s not just these frightening fatality statistics that stand out; working at height is also the second biggest factor in causing serious workplace injuries, with 4,589 people hurt in accidents?during 2008/09 and similar numbers recorded in subsequent years, with broken bones, fractured skulls, and severe facial and internal injuries among the more regularly reported consequences. Construction is an obvious sector which runs the risks of working at height, and it’s no surprise that the industry accounts for more than half of the total number of UK fall fatalities, with high risk activities such as working from scaffolding and roofs leading to many of the accidents. But falls from height can pose a threat in almost any and every industry and job. Roofers, decorators, window cleaners and TV and satellite installers all face the day-to-day dangers involved with working at heights and using ladders, but jobs as diverse as working in warehouses, organising events, or even operating in an office or kitchen can pose a risk, with seemingly mundane tasks such as stacking shelves, loading and unloading vehicles, and assembling exhibition displays and posters all creating their own different dangers. In fact, it’s more often than not these ‘less risky’ duties that will lead to an accident, with 87% of all major working at height injuries caused by what are described as ‘low falls’ - incidents that occur from a height of less than two metres. It was partly due to this predominance of low falls that the Working at Height Regulations (WAHR) 2005 - since updated by the Working at Height Amendment Regulations 2007 - was introduced. The WAHR revoked the UK’s earlier Construction Regulations 1996, which specified a minimum height of two metres was required for an accident to be classified as a ‘fall from height’. This two metre stipulation was removed from the WAHR, with the law defining working at height as “work in any place, including a place at or below ground level... where a person could fall a distance liable to cause personal injury,” which basically means any movement away from the floor should be considered as work at height. Taking each of those aspects individually, the first point can simply be described as not doing a job at height if it can be done on the ground instead. Technological advances have helped to make great strides in this area. For example, tasks like window cleaning, which would traditionally involve a person climbing up a ladder, can often be carried out from the floor by using extended poles and other specialist equipment. Similarly, in theatres and exhibitions, rather than having to climb up ladders to repair and replace light bulbs, lighting rigs can now be installed with the capability of being lowered to the ground. In instances where working at height cannot be avoided, implementing measures such as installing temporary guardrails or scaffolding can help to prevent the threat of falls, while equipment and fall protection systems such as harnesses, safety nets and airbags can be used to minimise the consequences and distance of a fall. It is worth noting that the WAHR prioritises ‘collective’ safety measures - those, such as guardrails, which will prevent a fall in the first place and protect numerous staff - over equipment like personal fall restraints, which is only designed to protect an individual worker once a fall has taken place. If work at height does need to be carried out, however, the amount of time spent at height should be reduced as much as possible. This could simply mean coordinating maintenance jobs so, for example, light bulbs are replaced on a regular schedule rather than one by one, or combining several small scale tasks requiring a ladder so it makes it worthwhile for a company to install a temporary scaffolding tower. 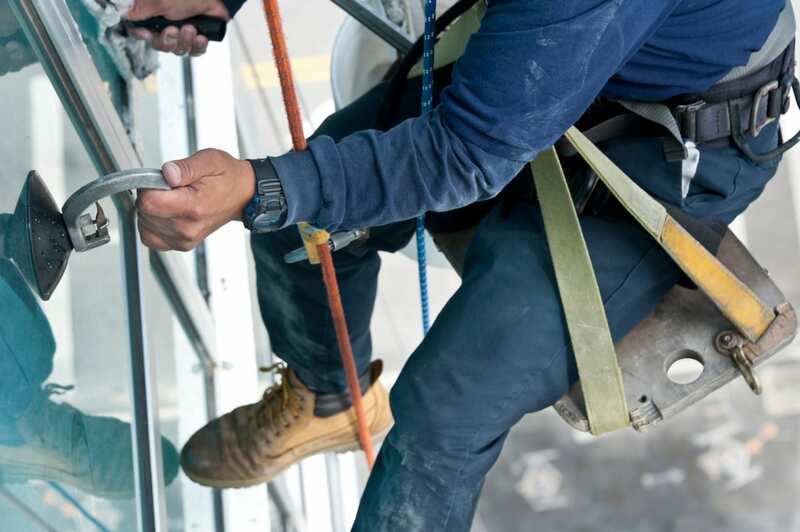 These risk assessments, which will supplement more general health and safety assessments, should examine the working at height tasks due to be carried out, evaluate whether these tasks pose a risk, and if so, highlight any equipment or training that needs to be utilised to minimise the danger. Particularly during the current economic climate, this is a key aspect to bear in mind. While it may be tempting to try to cut corners to save money during a recession, the consequences can be catastrophic, not just in terms of the huge financial implications - with fines, compensation and loss of productivity - but also on a personal level. The WAHR also specifically states that work should not be carried out in weather conditions which could endanger the safety of staff. High winds, heavy rain, and periods of frost or snow all present their own tricky tests, and even if the correct safety equipment is used, its effectiveness could be compromised in poor conditions. Numerous companies have been prosecuted under the Provision and Use of Work Equipment Regulations 1998 for falls caused in no small part by inclement weather, meaning equipment becomes unsafe. On a similar theme, the regulations also require employers to ensure the environment where working at height tasks are carried out is safe. In particular, staff should not venture onto a fragile surface unless “that is the only reasonably practicable way for the worker to carry out the work safely,” and if they must work on or near a fragile surface, all reasonable preventative equipment, as outlined in the hierarchy, must be used. This is of paramount importance with working on fragile roofs. Nearly a quarter of those killed in accidents at height are killed falling off or through a roof, the highest percentage by far. Roof working often carries huge risks, with any fall likely, at the very least, to lead to a serious injury, meaning it is absolutely vital that all available precautions are in place in terms of using the appropriate equipment, and also ensuring staff are suitably trained and competent to deal with these risks. This leads us on nicely to one of the most important aspects surrounding the entire issue of working at height - are the staff put in the position of working at height competent to understand and deal with the dangers? Are they trained to use any necessary equipment? Do they even have the physical capabilities and experience to carry out the task involved? So while the use of apparatus such as ladders isn’t outlawed, they should only be used by individuals who know how to use them properly, have been comprehensively trained, and also know how to fully inspect the equipment and ensure it is kept in prime condition. As with many areas of health and safety, while the regulations involved with working at height may appear to be extremely technical and complex, in more cases than not, reducing - and, where possible minimising - the risks can simply boil down to using common sense and preparing properly. After being involved with the sector for more than 15 years now, I’m only too well aware of some of the negative perceptions about the health and safety industry, and how the subject in general can often be thought of as just another in a long line of bureaucratic measures put in place to make it more and more difficult for workers to carry out their day-to-day duties effectively. In facing up to the most common threats posed by working at height - remember almost nine of out ten injuries are as a result of ‘low falls’ of less than two metres - there is always the potential for complacency to creep in, as employees may not easily see or understand the risks involved with what they perceive as fairly low level work. The only way we’ll eventually manage to bring about a root and branch change to these sorts of attitudes, and the wider dangers to workplace safety that they can often lead to, is to promote a culture of greater involvement, openness and education in the workforce. Involving staff at each stage of the risk assessment process, ensuring they are aware of the dangers they face, and most importantly, making sure they are suitably trained, experienced and competent enough to mitigate these dangers, will not only help go some way towards bringing the working at height accident figures tumbling down, but will also encourage a more ‘grassroots up’ and inclusive approach to health and safety in general.